Home » Blogs » Unleash your creativity in 2019! Unleash your creativity in 2019! Our workshops kick off this week but it’s not too late to sign up. Whether you’re interested in performing arts (singing, theatre, dancing or music) or visual arts (drawing, painting with your favourite medium or experimenting with something new, or photography), we’d love to hear from you. 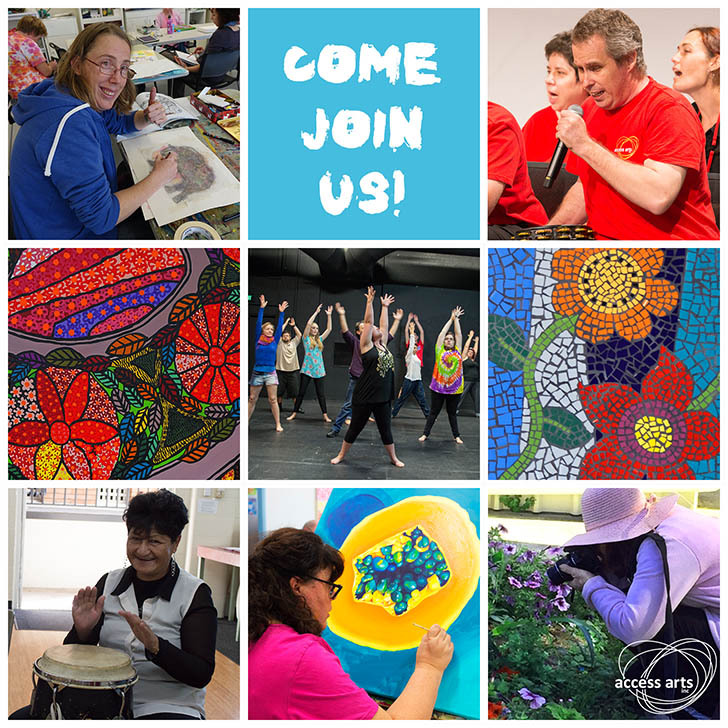 Our Visual Arts workshops provide members with a supportive, inclusive and creative environment to engage with various art forms, encouraging positive social interaction, a strong sense of community, and artistic expression of each individual. Anyone is welcome to attend these workshops, whether or not you experience a disability and irrespective of previous experience. For more information about our Visual Arts workshops please click here. Our Performing Arts workshops provide members with a supportive, inclusive and creative environment to engage with various art forms, encouraging positive social interaction, a strong sense of community, and artistic expression of each individual. Anyone is welcome to attend these workshops, whether or not you experience a disability and irrespective of previous experience. For more information about our Performing Arts workshops please click here. Not sure if a particular workshop will be a good fit? You can always sign up for a free one-day trial by calling our office on 07 3505 0311.